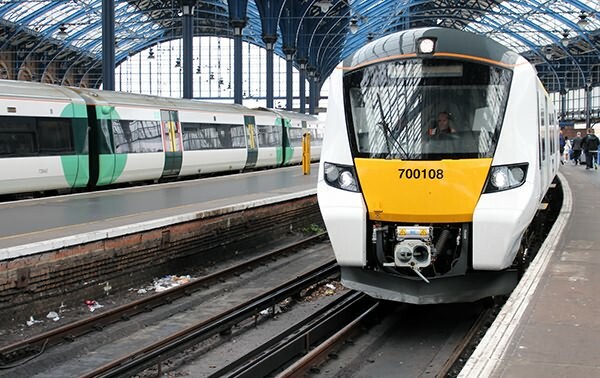 A Class 700 unit entered passenger service on 20th June with a"gentle" introduction on four off peak workings, commencing with the 10:02 from Brighton to London Bridge, which is pictured here prior to departure. The first workings across London were on 30th June with the 1W26 11:05 Brighton to Bedford and 2W43 13:54 Bedford to Three Bridges. There had previously been a Media launch at Blackfriars, followed by an inaugural run, on 24th May, a report of which is to follow soon.